We are Tim & Claire, husband & wife, photographer and studio manager, settled back in the county Down wildness after years of wandering. We have two kids, one dog, backgrounds in fine art (Tim) and writing (Claire), and a multi-coloured gmail diary to keep all the plates spinning. Our journey into the wedding world was accidental, a favour for a friend here, a party needing photographed there, and before we knew it, we were all in. Most people come to us when they’re planning a laid-back wedding. Whether you’re confident or shy in front of the camera, our job is to help make your day as relaxed and natural as possible. In fact, making your life easier is just as important to us as the photographs, in the run-up, on the day, and after the wedding. So quick responses, problem solving, plenty of info, quick delivery, downloadable images, and generally making sure you’ve no stress around the photography are big priorities for us. Tim is the photographer. But think of him as a painter with a camera in his hand. He trained in fine art in Dublin and Belfast. You can often find him in paint splattered overalls down at Vault Studios in Belfast. This is probably why the photos look the way they do. On the day, it’s about being as quiet and observant as possible, not interrupting the natural flow of things (that is, until your mum wants a family shot and your uncle is asleep at the bar!). Tim works in the moment, creatively responding to what he sees going on around him. As a documentary photographer, framing, light and moment are always in his mind. Hopefully this means you end up with a pretty unique set of photos of your day. 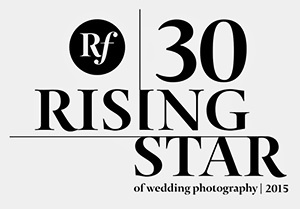 We’ve won some awards for our photography, our most prized being Rangefinder Magazine’s 30 Rising Stars of Wedding Photography. This matters to us because it’s an international thing, but mostly because you have to be nominated and judged by your peers, which we’re super proud of. We support marriage equality. Love is love.